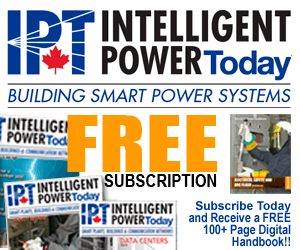 The publisher of Electricity Today and Intelligent Power Today magazines (The Hurst Communications Group Inc, a.k.a. The Electricity Forum) takes your privacy very seriously. This statement is intended to tell you that you can control how we collect, use and disclose your information. As well, this privacy statement is intended advise you of your rights under Canadian law and accepted best business practices. Further, this document is intended to inform you of what information we collect and process through the use of all Electricity Forum websites. 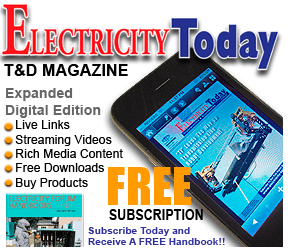 Electrictyforum.com is one in a series of websites owned and operated by The Hurst Communications Group Inc. and its publications: Electricity Today T&D Magazine and Intelligent Power Today Industrial Power Systems Magazine. You can also contact the Circulation Department if you have a question about handling of your subscription information, or if you wish to obtain a copy of information you have provided to us, or if you become aware that information you have provided is incorrect and would like us to correct it. Before we can provide information or correct any inaccuracies. However, we may ask you to verify your identity and other details that will help us to respond to your request. We will endeavour to respond within a reasonable amount of time. By using an Electricity Forum website, you are accepting the terms of this Privacy Statement. Whenever you submit information to one of our websites, you consent to the collection, use and disclosure of that information, personal or otherwise, as described in this Privacy Statement. All of the websites owned by The Hurst Communications Group, including but not limited to www.electricityforum.com, www.electricity-today.com and www.electrical-source.com provide news and information intended to support electrical industry professional and others who have an interest in electricity and electrical industry policies and technologies. Hurst Communications Group does not charge a fee for visitors to access it's sites' content. Instead, as with many websites, revenue is generated through advertising and sponsorships. Therefore, advertisers and sponsors have a reasonable expectation that visitors to the site are genuine and meet certain minimum interest in electricity and electrical industry matters. Parts of the sites' content are, therefore, offered only to qualified and sometimes registered readers/visitors. Information collected through the registration/subscription process is used by Hurst Communications to verify the profile and contact information of its readers/visitors. Beyond the site registration previously described, Hurst Communications collects and uses your personal information primarily for the purpose of providing you with the products and services you have requested, including but not limited to the delivery of the print and/or digital publications Electricity Today and Intelligent Power Today Magazines and related content. This includes the delivery of print and/or digital magazines or newsletters and renewal notices, conference and training announcements and registration confirmations and other information related to publisher events and courses. The information we collect is also used to communicate with you about your subscriptions and to provide you with information related to other Hurst Communications publications and services. All e-mails sent to subscribers clearly identify the source of the e-mail as Hurst Communications or its publications. If you enter a contest or participate in other promotional activities offered by Hurst Communications, your personal information will be used to administer the promotion, including the use of your name and selected other information for the purposes of contacting, announcing and promoting the winners of the promotion. The publisher may also contact you from time to time to conduct research and surveys in our ongoing effort to improve our product and service offerings, or to invite your editorial comments for articles being developed for publication. Hurst Communications will not release your personal information to a third party without your authorization unless required to by law or in the good-faith belief that such action is necessary in order to conform to the edicts of the law or to comply with a legal process serviced on our website. Further, Hurst Communications will only ask you to provide personal information that we need, when we need it. We will always explain why we need the information and what we intend to do with it. Unless specifically stated to the contrary, we have assumed that your consent is implied by either accessing an Electricity Forum website or through a subscription to a publication produced by Hurst Communications, to the use and disclosure of the information. You may at any time, however, withdraw your consent by giving us reasonable notice through one of the methods outlined above. We will notify you, generally by e-mail, in advance of any change in our intent for the use or disclosure of your personally identifying information. The one significant exception to this is your banking and credit card information. We do not and will never disclose this information to any source other than financial institutions and our auditors. When it is disclosed to financial institutions it is done exclusively for the express purpose of payment of your subscription fees or merchandise purchases from the publisher. When it is disclosed to our auditors, it is done for the express purpose of ensuring that the publisher meets its financial responsibilities. This data is stored on our web-server temporarily in an encrypted format, as is much of your other information. Once your payment has been processed, all banking information is transferred to our central data storage unit and purged from our web-server. Your banking and credit card information is held for historical and verification purposes off-line at the publisher circulation department to satisfy the requirements of our bank and auditors, as well as being used to facilitate the answering your questions. Hurst Communications is committed to providing you with an Internet experience that respects and protects your personal privacy choices and concerns. Personally identifying information is collected by Hurst Communications only when you specifically and knowingly provide it. In order to effectively provide the products and services you have requested, the publisher may share your personal information with selected third parties who act on our behalf as suppliers or service providers. Examples include bonded mailing houses for processing and labelling items, including publications, prior to mailing; and, Canada Post and other distributors and carriers. We provide only the information required to perform the requested service. Information provided to third parties in these circumstances will only be used for the stated purpose. It is our practice to require third party suppliers to handle information in a manner consistent with Hurst Communications policies. In addition, the information collected to service your subscriptions is made available -- on the publishers premises only -- for review by the Canadian Circulation Audit Bureau (CCAB), the official auditing body for magazines. The auditors may also contact randomly selected subscribers in order to verify the publisher's circulation statements. From time to time we may supplement information you give us via our Web site with information we acquire from other sources, such as information to validate your address, or company information available through sources such as directories and club membership rosters. This is to help us maintain consistency and accuracy of the information we collect and to help us provide a better service. Our Web server logs information about visitors that is not personally identifiable. Examples of this type of information include the type of Internet Browser you are using, the type of computer operating system you are using, the domain name of the Web site from which you linked to our site or advertisement, and which web pages are being used. Also, when we collect personal data from you in a transaction, we may extract some information about that transaction in a non-identifiable format and combine it with other non-identifiable information. This information is used and analyzed only at an aggregate level to help us: understand trends and patterns; improve the content and design of the publisher's web site; to enable our audit bureau to verify our claims of traffic to the site; and, to help advertisers and potential advertisers assess the suitability of the site for their advertising campaigns. This information is not reviewed at an individual level. When you access some sections of cymagazine.ca, magazineservices.ca or advertisements, we may store some information on your computer, in the form of a "Cookie". A cookie is a piece of data that a Web site can send to your browser, which may then be stored on your computer as a small text file. Cookies allow us to tailor the Web site content or advertisements to better match your interests and preferences. With most Internet Browsers, you can erase Cookies from your computer hard drive, block all Cookies, or receive a warning before a Cookie is stored. Please note, however, that blocking or disabling cookies will limit your access to non-restricted content sections, and erasing cookies will require that you re-register if you wish to access content in restricted sections of the site. While the publisher will seek to require third parties with whom it has agreements to follow appropriate privacy policies, we do not bear any responsibility for any actions or policies of such third parties. This site contains links to other sites not owned or controlled by the publishers. The publisher is not responsible for the privacy practices or the content of such Web sites. Electricityforum.ca users should be aware that when they voluntarily disclose personal information (e.g., user name, e-mail address) in discussion forums that such information could be collected and used by others who do not follow our strict privacy guidelines and may result in their receiving unsolicited messages from other posters or parties.